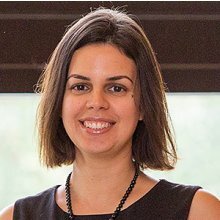 Lara Perez-Felkner is an Assistant Professor of Higher Education and Sociology in the Department of Educational Leadership and Policy Studies at Florida State University. Her research uses developmental and sociological perspectives to examine how young women and men’s social contexts influence their college and career outcomes. She focuses on the mechanisms that shape entry into and persistence in institutions and fields in which they have traditionally been underrepresented. In particular, she investigates racial-ethnic, gender, and socioeconomic disparities in entry to scientific career fields, in the U.S. and globally.